South Briar Community Association, Inc. is dedicated to ensuring the beauty, safety, and stability of the area, promoting neighborliness and pride among the residents, and forming a base for representation in matters affecting the community. 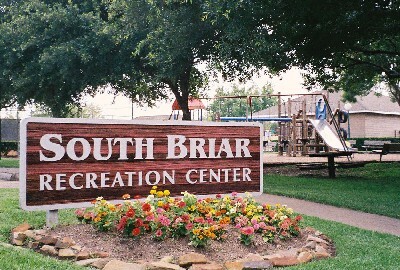 South Briar Community Association was established in the 1970’s and is comprised of five different subdivisions. Included in South Briar, are Ashford Village I, II, III, Briar Lake and Southlake. Southlake Town Homes are also apart of this community. There are 803 homes in this West Houston Community, which are all located in the Houston Independent School district. The schools that South Briar are zoned to are Ashford Primary School, Shadowbriar School, West Briar Middle School and Westside High School. There are also other private educational facilities very close to the community. South Briar is a strong community with involved residents and lots of interaction among its residents. South Briar is a deed enforcement community which has continued to make the neighborhood increase in property value. By enforcing deed restrictions, the community is a desirable place to live. If you are considering a West Houston Community to live in, we welcome you to visit and consider South Briar for your new home. If you need more information or have an issue to bring to our attention, please follow the links for our Board Members or other appropriate contacts contained herein.